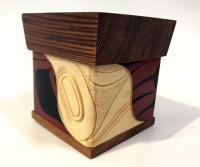 Made from beech wood and detailed with dark walnut. 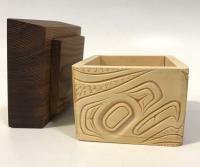 Carved from red and yellow cedar and detailed with stain. 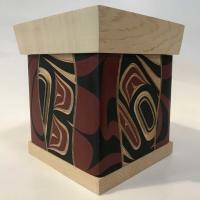 Carved from red and yellow cedar and detailed with acrylic paint and stain. 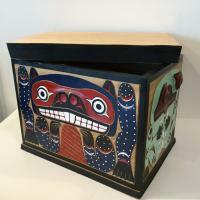 Carved from red cedar and detailed with arylic paint. 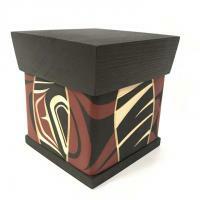 Carved from yellow and red cedar and detailed with stain. 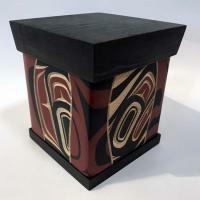 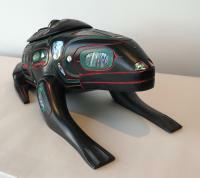 Carved from yellow cedar and detailed with acrylic paint, paua shell and stain.